Yes yes yes yes yes yes yes yes yes yes yes yes yes yes. Yes. It's true! One of those hippies is now occupying my basement (again! )Good point about 99%; I think "Occupy" got started because that was an easy way to explain where they were because they were actually living in the encampments ("He's down at Occupy.") 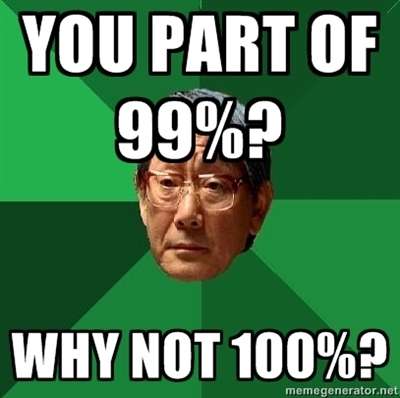 You can't really say someone's at 99%. It's too confusing. 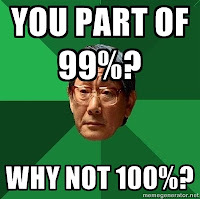 Now that it's not about residency, but more of an entity, 99% makes sense. Still doesn't really roll off the tongue, though.